If you wanted to get an 800 number in the past, you had to contact your local telephone company, establish business phone service, install office phone system (including loads of expensive hardware and software), then add a toll free line. Thank goodness those days are over. Today we live in a cloud-based world and toll free number service no longer requires your local phone company. There’s no hardware to maintain or software to update. And no long-term contracts locking you in for life. With a virtual phone system like UniTel Voice, you can get a 1-800 number and forward it to any phone (cell, home, office,) or any device (softphone, IP-phone, or smartphone). You can even forward your toll free number to your Google Voice, Skype, or Magic Jack line. You can completely control your 800 number call forwarding and make instant ring-to changes, online 24/7. Everything is month-to-month. No setup fees. No cancellation fees. And absolutely no long-term contracts. Just high-quality service and 100% USA-based support ready to help you get up and running. 1. You can set up an 800 number and forward it to any phone, greeting, extension or voicemail. 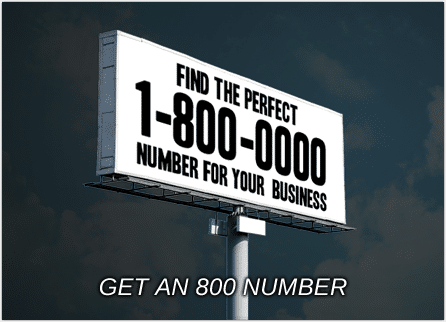 There are many uses for 800 numbers including being used for a business’s main line, a specific ad campaign, or a crisis hotline. But in all cases, it helps to be able to easily control your number’s call forwarding. That’s what makes UniTel Voice one of the best 800 number services around. It isn’t by offering cheap toll free forwarding (although we are one of the cheapest 800 number services available). It’s by giving our customers complete control over their toll-free numbers. With UniTel Voice, you can grab a new toll free number and instantly activate it to forward to any existing telephone line (landline, VoIP line, or cell phone line). You can forward calls to one phone or multiple phones in any order. And you can even our system’s auto attendant to greet callers and route them to different extensions, informational recordings or voicemail. Everything is managed online. If you need to make call forwarding changes you can do it on the fly. 2. You can call forward your 800 number to multiple phones in any order or at the same time. UniTel Voice is a toll free number service provider that allows you to set up 800 number forwarding to cell phones, landlines, VoIP, or mobile apps. You can also forward calls to multiple phones in any order or have them all ring at the same time, essentially creating a virtual call center using your existing phones (home, office, or cell phones). This allows you to manage your business from anywhere on any device, so you can stay connected and sound professional on the go. There’s no telecom equipment to set up or phone software to install. It’s simple, fast, flexible, and outrageously affordable. 3. You can use call recording, send and receive faxes, voicemails, and SMS text messages, and track advertising ROI. Your sales team brings in customers and your support team keeps them happy. It’s important that both departments do a good job because it’s how you keep your business afloat. But when a customer calls your business’s 1-800 number for sales or support, you don’t know when to highlight exemplary customer service or identify employees who are struggling over the phone. What if instead of catching half a conversation here and there, you could review your employees’ phone calls for quality assurance with just a click of your mouse? Now you can with UniTel Voice’s toll free number call recording feature. Whether it’s an inbound or outbound call, you can automatically record the conversation and access it online whenever you need it. Using our business call recording app will help you improve customer satisfaction, monitor quality control, and better train your employees. With an 800 number from UniTel Voice, you can send and receive faxes as well as make and receive calls. When a fax comes in our system recognizes it as a fax and sends the document to your email inbox as a PDF attachment. A copy of the fax is also sent to your online management portal and smartphone app for easy access. Call it an efax, Internet fax, virtual fax, or paperless fax, the point is you don’t need a fax machine which will save you time, money and hassle. You can forward your 1-800 number to your existing voicemail on any device or use UniTel Voice’s built-in virtual voicemail to receive voicemail on your smartphone app, online management portal, or email inbox. You can even use our voice to text mode to have your voicemail messages automatically transcribed. Sometimes it just easier (and faster) to scan a voicemail instead of listing to it. Also, since you receive the voiceamil as an email you can forward it to other members of your team or archive it for later reference. With UniTel Voice, you can enable toll free number texting so that your customers can text your 800 number. You receive the text as an email and when you reply to that email your customer receives the response as an SMS text message from your 1-800 number. You can set up an autoresponder to run special promotions or offer instant access to information. Also, since you receive the text as an email you can forward it to other members of your team or archive it for later reference. UniTel Voice allows you to set up as many toll free numbers as you’d like and forward them to your main line or any other phone, extension, greeting or voicemail. That way you can assign a unique number to every advertising channel (print, online, radio, TV, billboards, and vehicles) and track the calls coming from each channel to assess marketing ROI. When you know which advertisements are working the best you know where to invest. Need to a Set Up a Cheap Business Phone Line or Multiple Lines? We Can Help!